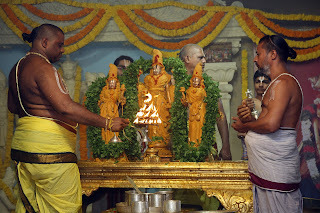 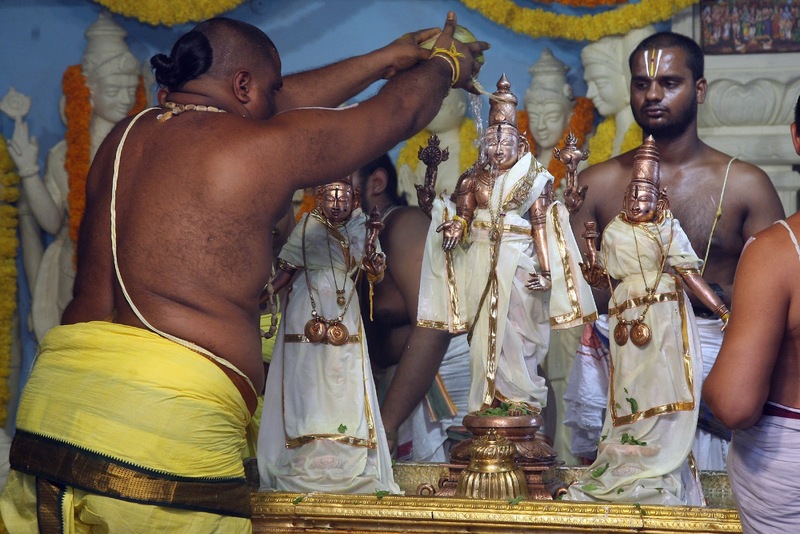 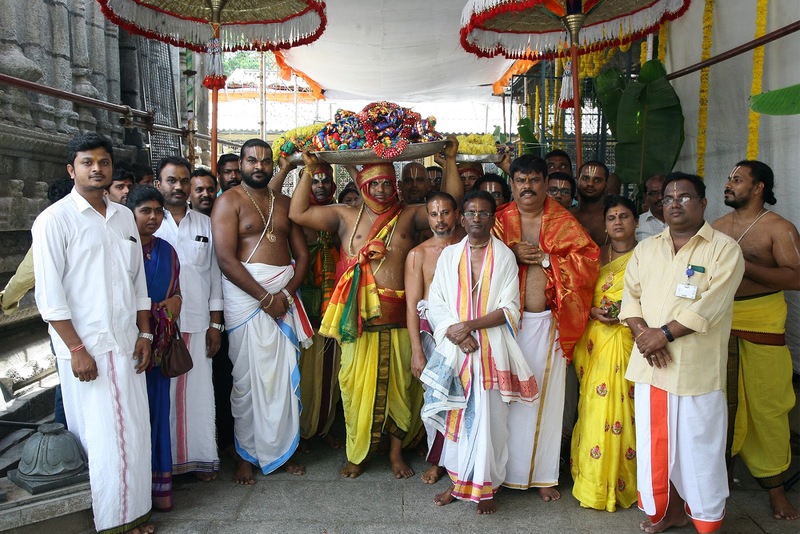 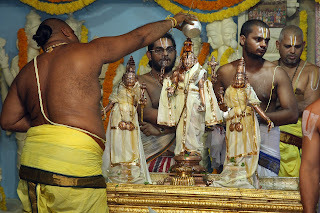 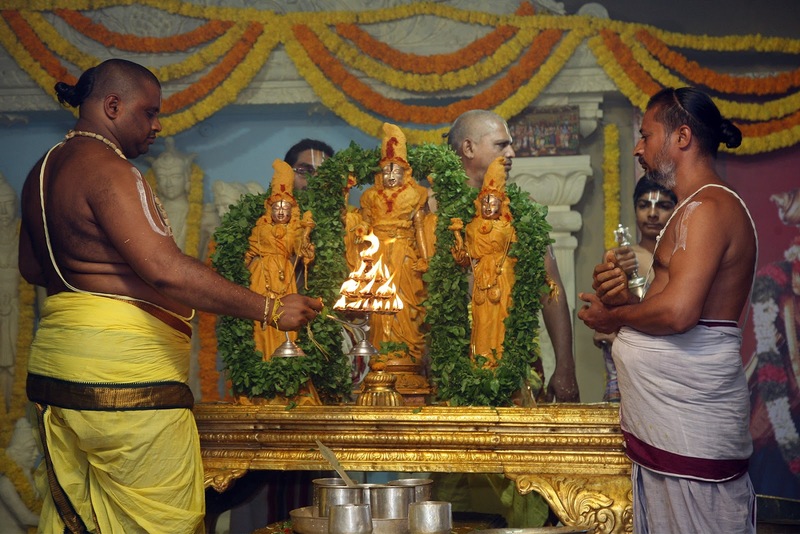 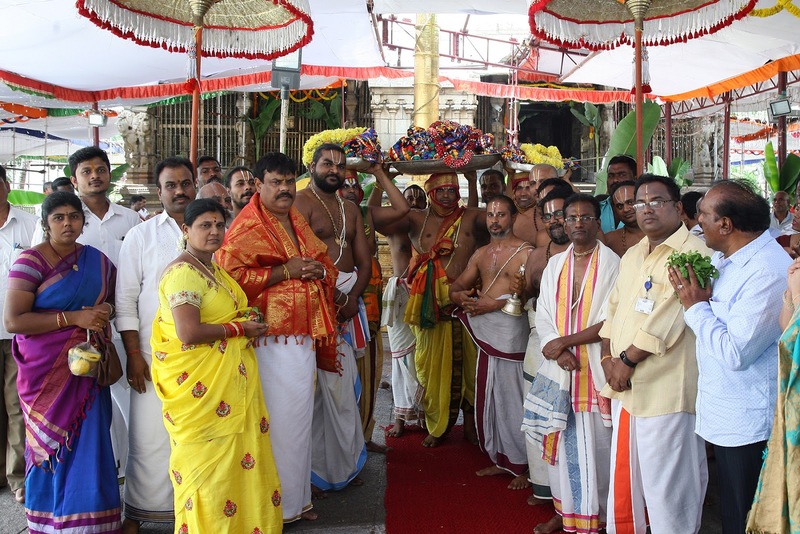 Srinivasa Mangapuram, 4 November 2018: On the second day of annual Pavitrotsavams in Sri Kalyana Venkateswara Swamy temple at Srinivasa Mangapuram near Tirupati, the holy garlands, Pavitra Malas were decorated to deities on Sunday. 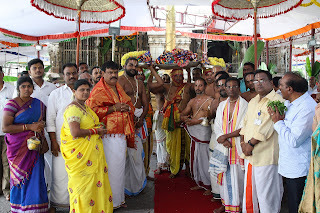 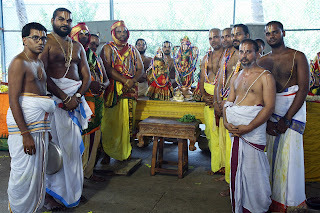 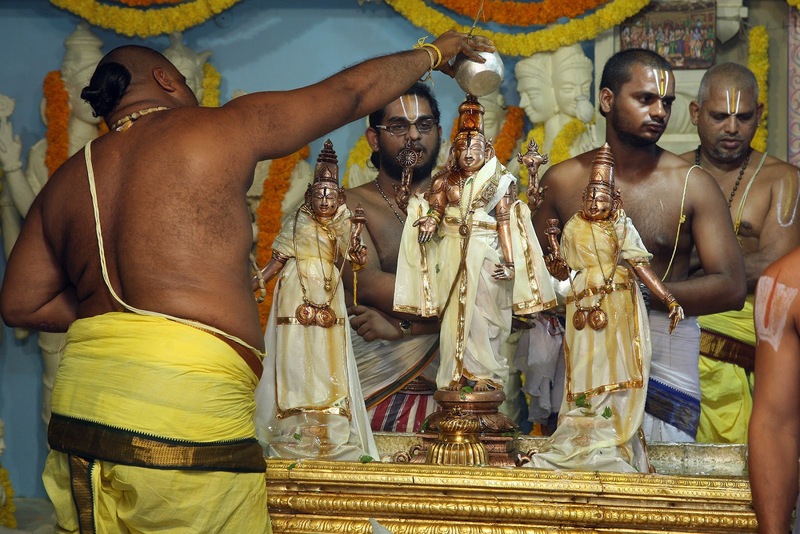 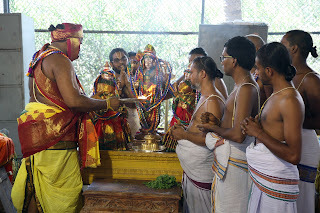 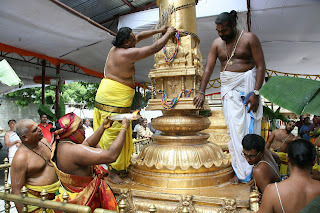 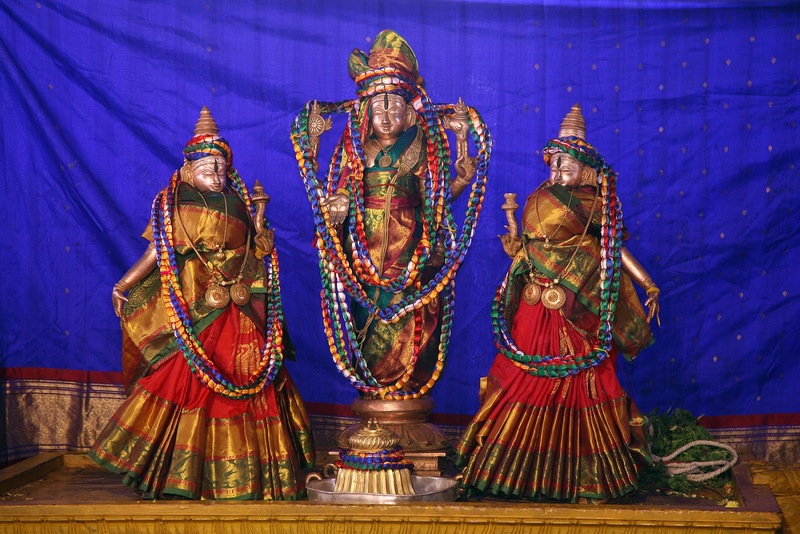 After Snapana Tirumanjanam in Yagashala and other vedic activities, the deities including mula virat, processional deities were offered these Garland's amidst chanting of vedic hymns by temple priests. 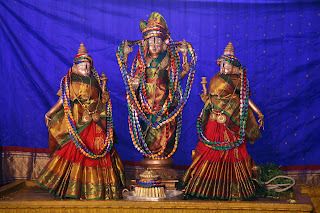 Temple DyEO Dhananjeyulu, AEO Lakshmaiah, Suptd Ramanaiah, Temple Inspector Anil Kumar and others took part in this fete.